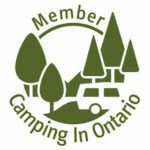 LOOKING FOR A FUN FAMILY CAMPGROUND WITH LOTS TO DO? We are a family owned campground, situated in the heart of cottage country, halfway between Barry's Bay and Renfrew area, Golden Lake Park Campground is well equipped to meet all camping needs for a family or larger groups. Housekeeping Cottages are also available. For the boating and fishing enthusiast our marina offers a large dock, boat launch and plenty of fish in the lake for your enjoyment. Unwind and have a good time with us at Golden Lake Park! Our campground offers full hook-ups, pull thru's to unserviced sites and everything in between. We have many events scheduled through out the camping season which is ran by out group of dedicated volunteers from within our campground. Check out our schedule HERE for upcoming season. Nearby attractions include: Algonquin Provincial Park , Bonnechere Caves, Golf Courses. Horseback riding, ATV Tours, River Run, Owl Rafting, Wilderness Tours, Wilno Lookout, Historic sites, Local galleries & Museums.